Funded company Miracle Tea Studios, one of the Tranzfuser 2016 competition winners, today launched their game Ruya. The puzzle game tasks players to match adorable characters in Ruya’s world of dreams. Coming to Tranzfuser 2016 as a team of four graduates based at the Eastern Enterprise Hub, the team successfully pitched their project to the UK Games Fund and have been working on bringing Ruya to the market since then. 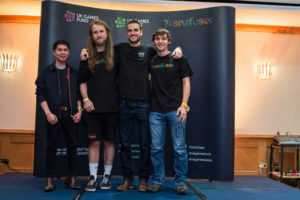 Miracle Tea Studios is the one of the first teams to take their idea as graduate applicants to Tranzfuser right through to commercial release. Ruya is available on the App Store from today.